Contemporary mobile and web technologies allow for an increasing amount of remote work, which is changing the way businesses function. You need to be able to keep up with the demands of a rapidly changing workplace and business structure, and Intellect is here to provide the solution. Our mobile business process management system provides a comprehensive toolkit to fully streamline your business operations and integrate your entire staff in your operations. 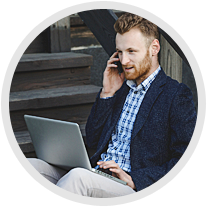 Whether your employees are working in the office, working from home, or working in the field, everyone will be synced up with your operations from moment to moment, on the go. 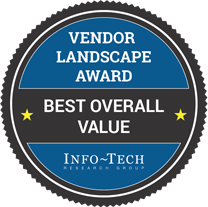 Intellect is at the forefront of mobile business process management technology. Our smart MobileApps provide powerful business process functions that anyone can use from anywhere. Easily build out apps in a matter of minutes, and optimize your business for the 21st century. There was a time in which technological limitations required everyone to be in the same location for information to circulate and remain up to date. With today’s information technologies and mobile platforms, you can have employees in the office, in the field, and at home, all working together and synced up with the latest information. With Intellect’s MobileApps, you can easily streamline your business processes across locations, regardless of the state of your workplace. Our software is completely configurable to handle your own unique needs and solve the problems that are peculiar to your industry. Get started today and discover what our MobileApps can do for your business. Why Choose Intellect Mobile Apps? You don’t need to be tech savvy to use our BPM mobile apps. With our intuitive drag-and-drop interface, you can create your own customized apps in minutes to suit your own unique business needs. Many other process management systems on the market require programming skills and other specializations, which means hiring specialists and taking time and energy to learn the system. With our system, you can start creating your apps without worrying about any of that. Our apps are specifically optimized for use on mobile devices. With our MobileApps you will have full functionality, ease of use, and full control of your business processes, wherever you happen to be. You can even snap photos, enter data, make changes, and manage your operations while offline. To get started, just download our mobile app in the Apple App Store (for iPhone and iPad) or the Google Play Store (for Android). 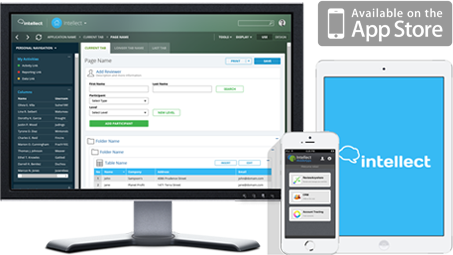 Our system allows full control of your mobile business process management. You get to decide how many apps you want to create and how they are to work, and you can control who has access to them. Our system doesn’t impose a rigid set of operational guidelines; you use the system to help you better run your business the way you want. You can’t run a business when even one node in the process is failing to sync up; it can hold up the entire workflow. All of our mobile BPM apps immediately sync up to your central system whenever you update data or make changes. Everything is constantly updated so that you have the most current actionable information whenever you need it. Your business is changing every day, adapting to new challenges and opportunities. The new Intellect BPM Platform enables you to build Smart Business Apps that easily adapt to your needs, and connect apps, people, and processes. Deploy native iOS and Android apps for your business in minutes with the new Intellect platform and Intellect Mobile App solution.